Tyrannosaurus Rex toilet tissue holder is hand-painted. This unique dinosaur decor is perfect for the kids bathroom! 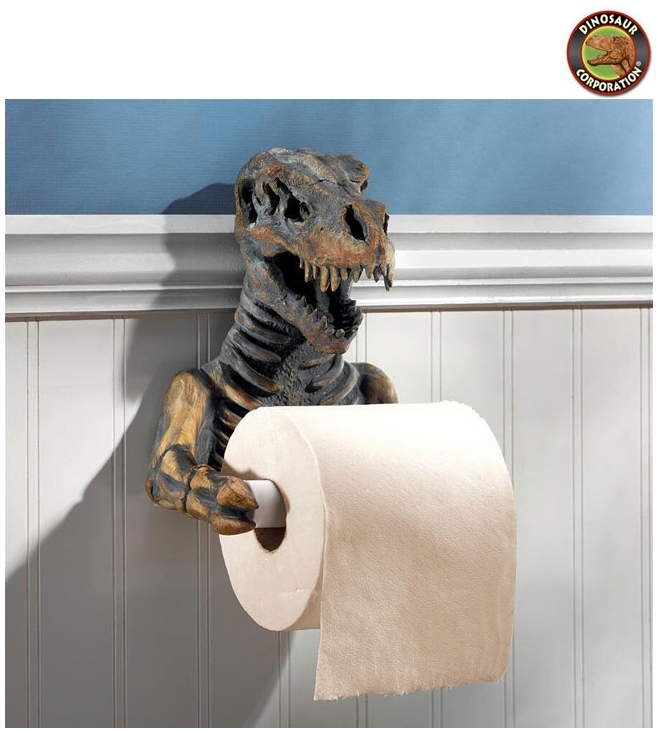 * T-rex skull holds the standard size toilet tissue. * Our commode Hangs on your wall by keyhole slots. * Due to the nature of this item, we are unable to accept returns.